Welcome to Geologica Belgica association ! We hope that you will accepted to present your master research thesis to our community. You will become a young member of Geologica Belgica for one year and the abstract of your presentation will be published in one of the next issue of Geologica Belgica journal. For the presentation, you will have 20 minutes (15 minutes of talk and 5 minutes for questions and discussion). Each participant can submit to Geologica Belgica an abstract related to his/her master thesis for being published in one of the following issues of Geologica Belgica. The price for the best presentation of the Master Day is 250 EUR. Mineral extraction vs Ecology: adversaries or allies ? As a first step, BLUG/UBLG and Geologica Belgica invite you to participate in a brainstorming session with the purpose of defining the agenda for demonstrating the benefits of geodiversity for biodiversity to the public. The meeting will start with presentations on the clash of geo-bio paradigms, success stories and failures of geo-bio cooperation to end with the creation of a working group and discussion on the next steps. Thursday 23 June 2016, 10h – 16h30. After a workshop organised 27 November 2015 and a series of excursions to different types of raw materials extraction conducted this year, the ad-hoc working group observed that former or reclaimed mining sites regain valuable ecological functions and may even attain a higher level of biodiversity than the original lands before mining. 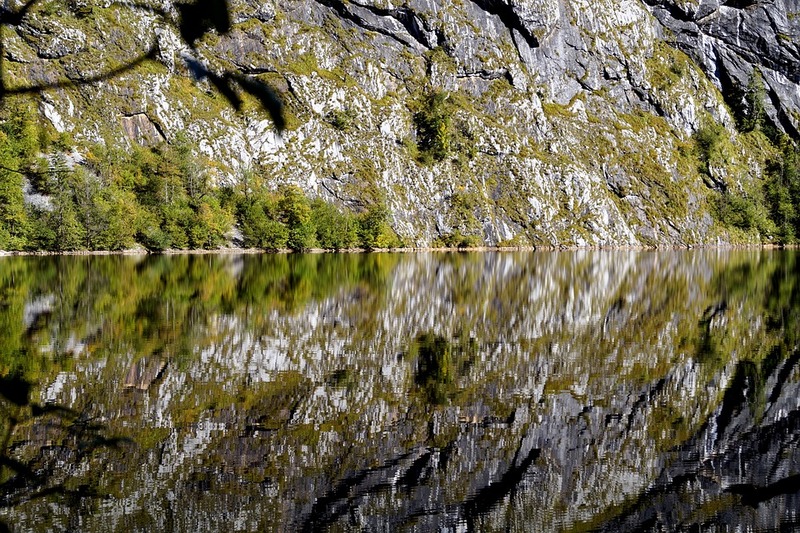 Multiple former extraction sites are transformed into Natura 2000 or other protected sites, or even are becoming new wilderness areas. 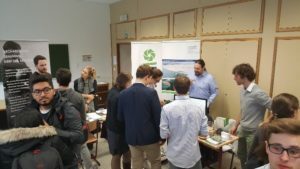 The ad-hoc working group has concluded that mining and ecology should become allies and agreed to the organisation of a symposium, with the intention to promote a better understanding of the mutual interests by the industry and the conservationists and at informing a wider audience. Ten companies - large or SME - made use of this opportunity. About 60 students/job seekers participated. 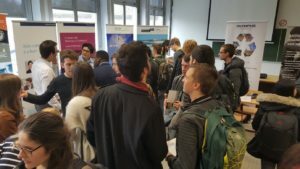 Dear Sir/Madam, The Belgian-Luxembourg Union of Geologists (BLUG/UBLG) and Geologica Belgica have the honour to invite you for the National Geological Job Fair, which will be attended by the geology-roiented students of five different Belgian universities, namely from the universities of Ghent, Mons, Liège, Brussels and Leuven.